Why is Instagram Page Verification Such a Craze? The lure of the tiny blue tick next to your account name on Twitter, Facebook and Instagram is something that influencers worldwide crave for. The glorified blue tick is like a rite of passage. As soon as it reflects on your account, next to your name, it propels you to celebrity status. If you have a blue tick beside your name, it makes your account look exclusive. That is, it adds more power and value to your brand name. Unfortunately, social media is a place where individuals and brands get copied every day. Having a verified account also helps contain brand identity theft. If someone is impersonating you or your brand, the blue tick will help users separate you from your imposters. Credibility is yet another perk of having a verified account. The blue tick automatically builds trust. Considering that only limited accounts are verified, users are more likely to trust your account if it has a blue tick. It also gives easy access to special features such as the swipe-up feature on Instagram stories. Brands need a minimum of 10,000 users to get access to the swipe-up tool. But verified accounts are an exception to this rule. Now that we have determined the benefits of having Instagram verification, let’s look at how it can be obtained. Getting your account verified on Instagram isn’t as easy as getting it verified on Facebook or Twitter. Agencies with ties to Instagram can also put in requests for Instagram verification for your brand. If Instagram hasn’t verified your account on its own, you can send a ‘request for verification.’ However, 95% of such requests aren’t fulfilled. 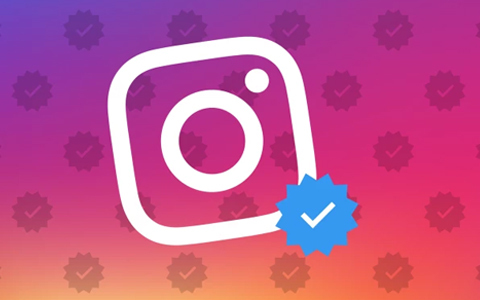 Before you consider applying for Instagram verification, you need to keep a few things in mind to increase your chances of getting the coveted blue tick. Start by connecting all your social media accounts. Doing this will demonstrate authenticity. It’s important to show a high level of engagement with your community. This proves that you are relevant and important. Your brand needs to be covered in independent national and/or international press publications. This doesn’t include press releases, social media links, and mentions. It is critical for you or your brand needs to be perceived as notable and credible enough to be verified. Obtaining national press will also work in your favor. A website and a Wikipedia page alone won’t make the cut. Instagram looks for proof that your brand is genuine, popular, and influential enough to be considered for Instagram page verification. If your company isn’t widely known, the chances of getting verification are slim. Unlike what majority of the websites say, having a large number of followers isn’t the major factor in how Instagram decides credibility. Having a verified account not only lends you a ‘celebrity status’, but it also sets you apart from the common crowd and imposters. It is for this reason that more and more individuals and brands are after the sought-after blue tick. In conclusion, it is safe to say that the blue tick craze is here to stay!